This article first appeared in City & Country, The Edge Malaysia Weekly, on March 18, 2019 - March 24, 2019. Set up as a new village in the 1950s during British rule, Seri Kembangan, in the south of Selangor, has come a long way. It has become a popular place to stay and to set up businesses. Major landmarks include Mines Wellness City and the Selangor Turf Club. According to the historical data provided by property experts, Seri Kembangan, which was once known as Serdang New Village, was established in 1952 under the Briggs Plan that was devised during the Malayan Emergency to fight the communist threat. 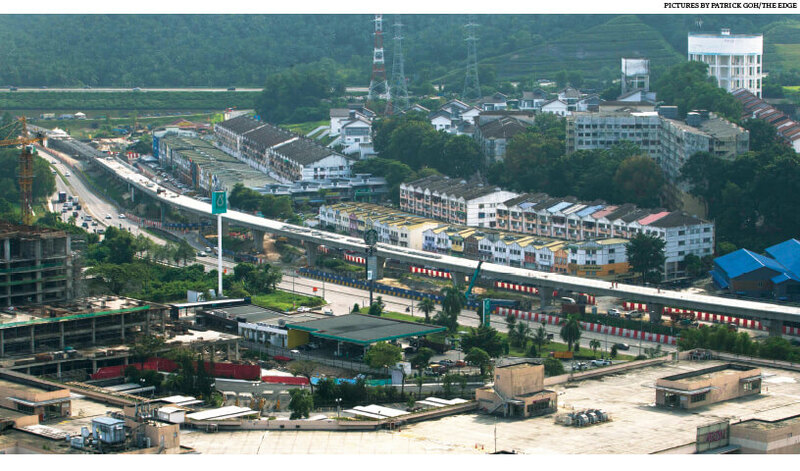 Many Malaysian Chinese villagers living around Sungai Besi were moved there. The British provided plots of land and about 15,000 people, mostly tin miners and rubber tappers, built houses there. The areas surrounding the village thrived and became a bustling suburb. In the late 1980s and throughout the 1990s, there was rapid development of numerous housing, industrial and commercial schemes. Roads, highways and other amenities were built or upgraded. In 1988, a major catalyst for growth in Seri Kembangan was the government’s alienation of the 1,300-acre Hong Fatt Mine — the world’s largest opencast tin mine — to Country Heights Holdings Bhd for the development of Mines Resort City. 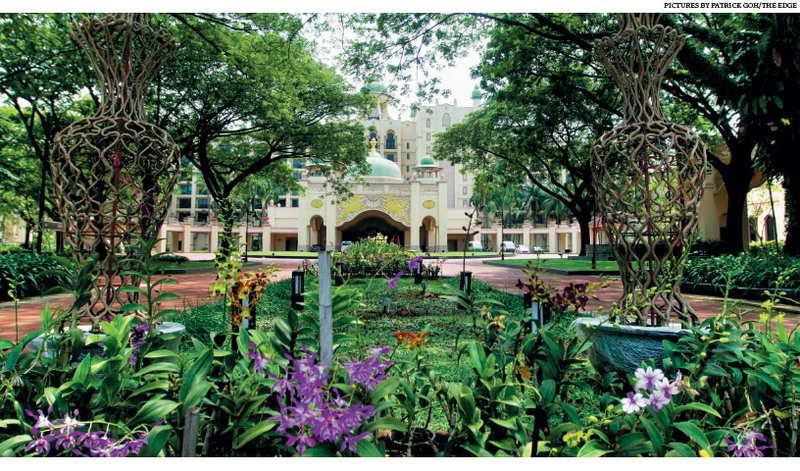 One of the earliest housing developments in the area was Taman Universiti Indah, developed by SHL Consolidated Bhd in 1989. Today, there are many others, including Taman Equine, Taman Putra Permai and Taman Puncak Jalil. Apart from Mines Wellness City — which includes The Mines Resort and Gold Club, Palace of the Golden Horses, The Mines Wellness Hotel and The Mines Shopping Mall — the Selangor Turf Club, South City Plaza, Universiti Putra Malaysia and Farm in the City are among the other landmarks. 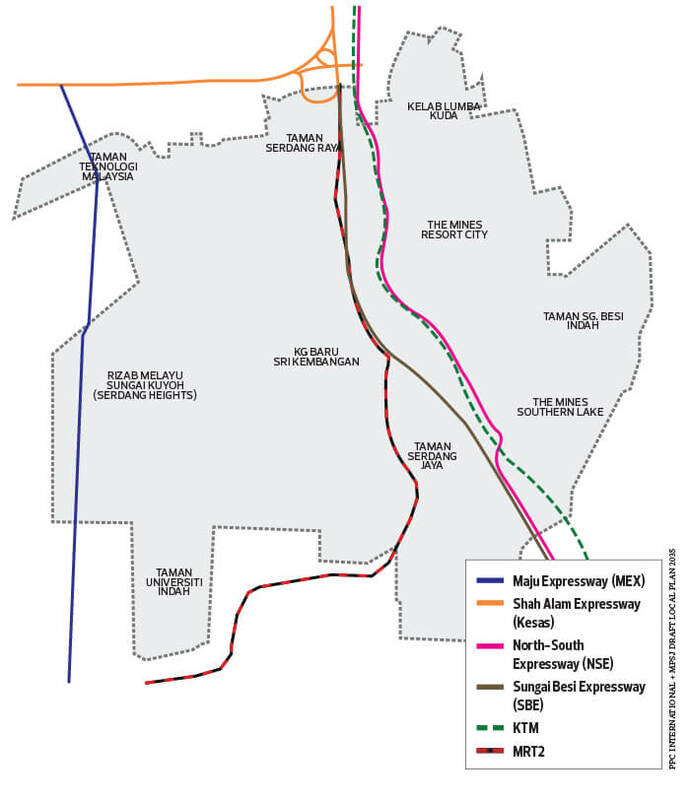 A KTM station in Serdang and a LRT station in Sungai Besi provide improved connectivity while the upcoming MRT2 line will have a few stations there as well. Seri Kembangan is connected to highways such as the KL-Seremban Expressway, Maju Expressway, Sungai Besi Expressway and Kajang Dispersal Link Expressway. Serdang Hospital is just a short distance from Universiti Putra Malaysia. 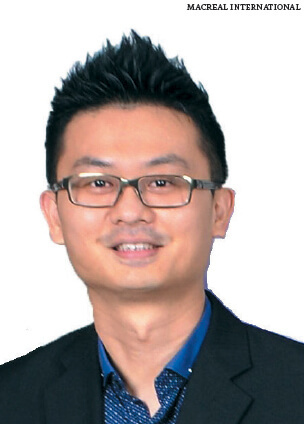 Seri Kembangan is a popular choice for homebuyers looking for spacious yet affordable homes close to many amenities, according to Gan Boon How, MacReal International Sdn Bhd associate director. He says the properties are usually sought after by owner-occupiers. Many who have been staying in the area for some time are looking to upgrade but still want to live close to their families. 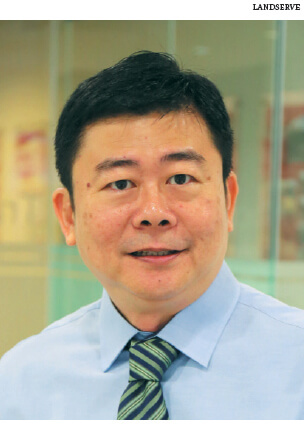 LandServe Sdn Bhd managing director Chen King Hoaw says the residents comprise middle-income earners working in the private and public sectors in Kuala Lumpur, Cyberjaya and Putrajaya. 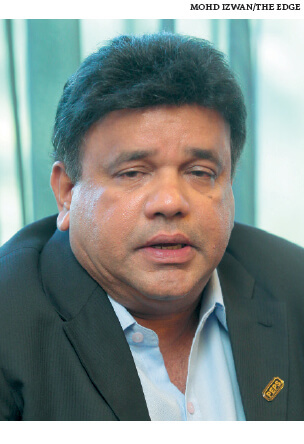 PPC International Sdn Bhd Managing director Datuk Siders Sittampalam says Chinese make up about 40% of the population while the Malays comprise about 38%. Property experts say 2-storey terraced houses and apartments are the most popular properties. “The average housing price tends to be lower than in neighbouring townships such as Sri Petaling, Bukit Jalil, Bukit Damai Perdana and Bandar Kinrara,” Gan says. He notes that the current trend is towards non-landed residential properties such as serviced apartments, condominiums and apartments because of the high demand and scarcity of land. Siders says high-rise integrated developments have mushroomed in the area in the last 10 years to cater for the growing population. According to Chen, prices for 1-storey terraced houses in Kota Perdana and Taman Seri Timah have increased 82% to 200% over the past seven years while 2-storey terraced houses in numerous schemes have gone up 9% to 75%. For strata units such as apartments, condominiums and serviced apartments, prices have risen 17% to 43%. In the same period, the prices of 2 to 4-storey shopoffices and shophouses have climbed 8% to 129% while 2-storey factories have risen about 20%. 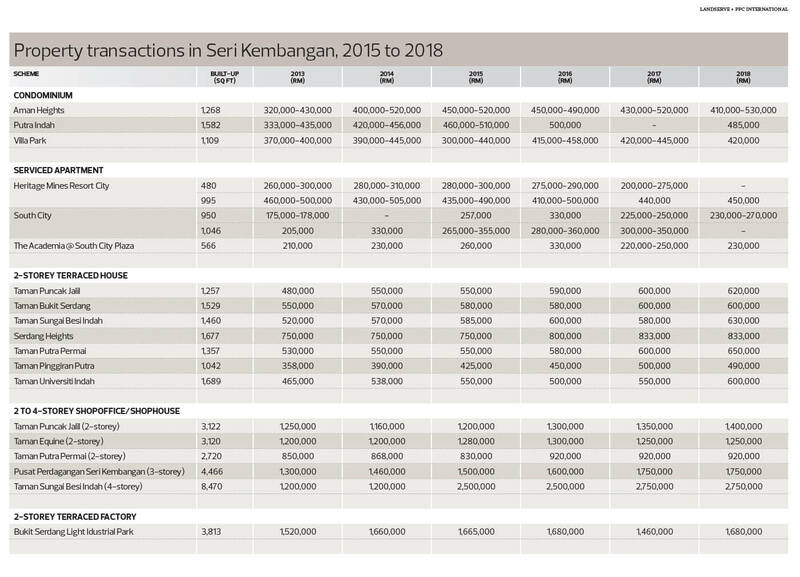 Transaction records provided by PPC International and Landserve show that the overall property values in Seri Kembangan have been on the rise since 2012 to last year. Aman Heights condos, with a built-up of 1,268 sq ft, were transacted for RM310,000 to RM350,000 in 2012 and RM410,000 to RM530,000 last year. In South City Plaza, Taman Serdang Perdana, serviced apartments with a built-up of 950 sq ft were sold for RM175,000 to RM178,000 in 2013 and for RM225,000 to RM250,000 in 2017. A bigger unit of 1,064 sq ft changed hands for RM205,000 in 2013 and RM300,000 to RM350,000 in 2017. Meanwhile, a 2-storey terraced house in Taman Puncak Jalil with a built-up of 1,257 sq ft was transacted for RM410,000 in 2012 and RM620,000 last year. 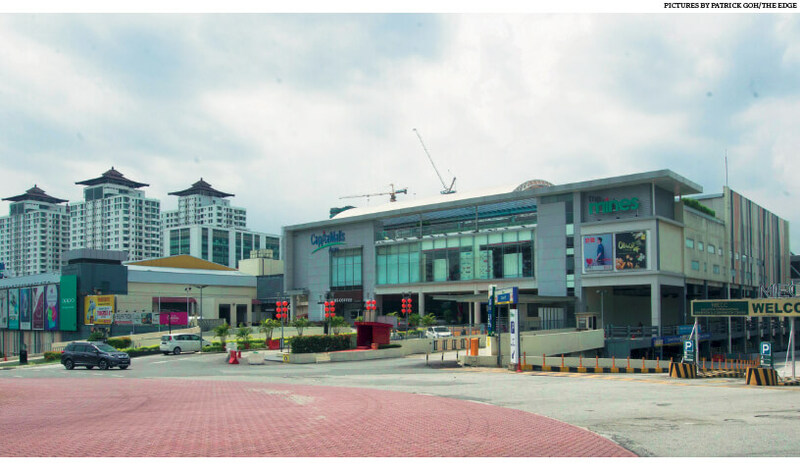 For commercial properties, a 3-storey shopoffice and shophouse with a built-up of 4,466 sq ft in Pusat Perdagangan Seri Kembangan was sold for RM1 million in 2012 and RM1.75 million last year. At Bukit Serdang Light Industrial Park, a 2-storey terraced factorywith a built-up of 3,813 sq ft was transacted for RM1.4 million in 2012 and RM1.68 million last year. Upcoming developments in Seri Kembangan include SK One Residence by Malton Bhd, 3 Elements by Titijaya Land Bhd and Zenopy Residences by LBS Bina Group. 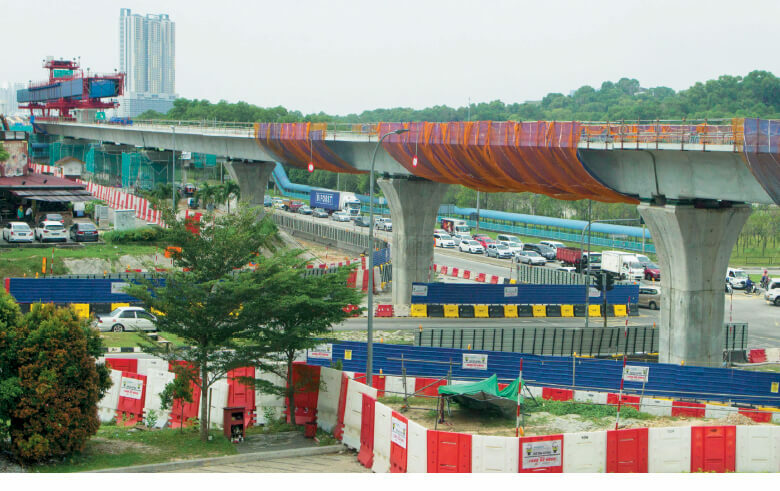 The upcoming MRT2, also known as the Sungai Buloh-Serdang-Putrajaya line, will see six stations in the vicinity — Serdang Raya North, Serdang Raya South, UPM, Equine Park and Taman Putra Permai. Property experts say MRT2 will help ease the traffic congestion in Seri Kembangan — one of the biggest grouses of the residents. “Developers and residents are looking forward to the completion of these stations, which will serve as an alternative mode of transport from Seri Kembangan to Kuala Lumpur, Cyberjaya, Putrajaya and other places,” says Chen. Gan agrees that the MRT will lead to an increase in property prices there. “Investors who purchased properties close to the MRT stations will be the first to see this,” he says. Homebuyers, office workers, college students and potential tenants will choose to stay closer to MRT stations to save time on travelling, he explains. He reveals that the MRT could result in a 10% to 20% price hike, depending on the type of development. Transaction data by Landserve shows that the value of some housing developments near the upcoming stations has appreciated in value over the past seven years. An apartment with a built-up of 850 sq ft near the proposed Serdang Raya North station that was sold for RM175,000 in 2012 was transacted for RM250,000 last year. In Taman Sungai Besi Indah, near the proposed Serdang Raya South station, a 2-storey terraced house with a built-up of 1,460 sq ft was sold for RM445,000 in 2012, but rose to RM630,000 last year. One-storey terraced houses in Taman Seri Timan close to the proposed Seri Kembangan station, with a built-up of 663 sq ft, were transacted for RM100,000 in 2012 and RM300,000 last year. A 933 sq ft serviced apartment in Zeva Equine close to the proposed Equine Park station was sold for RM408,000 in 2015 and RM420,000 last year. In Kota Perdana, near the proposed Taman Putra Perma station, a 1-storey terraced house with a built-up of 942 sq ft that was sold for RM220,000 in 2012 changed hands for RM400,000 last year. The prospects of Seri Kembangan are positive, say the experts. “With the upcoming MRT line, some private developments are expected to see price appreciation amid a weak market. However, the impact may vary depending on the connectivity of the area, existing price levels of other developments and the type of property,” says Gan. He adds that developers would look for opportunities to develop residential or commercial properties that can be easily linked to the MRT stations. “Generally, land values and developments close to any rail network station tend to appreciate. Seri Kembangan, likewise, has seen developments close to these stations and used them as a selling point,” says Siders. Areas close to the stations will be able to accommodate high density developments and transit-oriented development and these properties will not only see capital appreciation but also higher yield or rental increase, he adds.